they have livestock) as the local communities, carries the risk of new conflicts. The risk of overexploiting the natural resources in the vicinity of the camps is high leading to long-lasting environmental damages especially when refugees or IDPs are housed nearby protected areas or other vulnerable ecosystems. In humanitarian crises, especially during the emergency phase, environmental issues are often disregarded since most relief organisations are only concerned with life-saving activities neglecting that both, displaced and host communities, highly depend on open access to intact natural resources for their livelihoods and resilience. 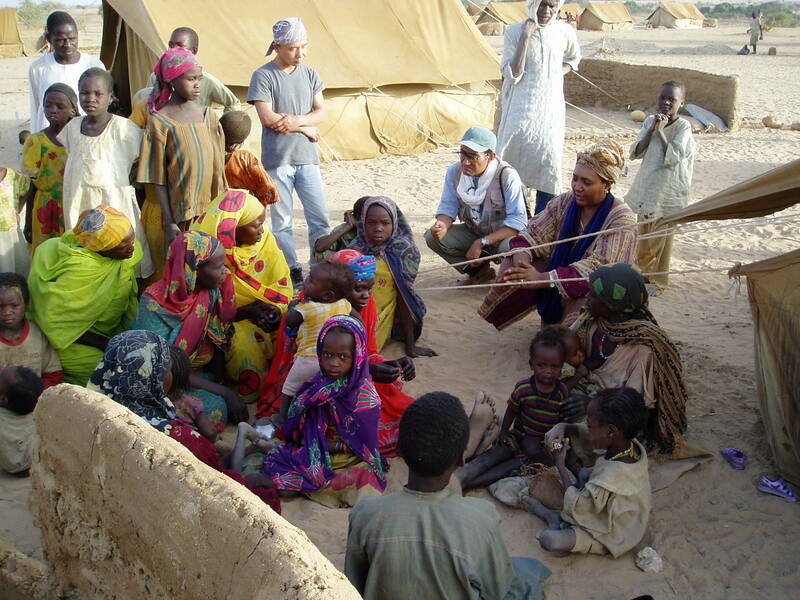 We strongly believe, however, that environmental and livelihood aspects should be taken care off from the outset of a humanitarian operation following an inclusive and conflict-sensitive approach: This will not only help to minimise environmental damages and costs for subsequent mitigation and rehabilitation measures but will also favour a peaceful cohabitation between refugees and locals.